I'm looking for busy women who want to take back their lives, get healthy and make fitness a priority again. It's going to take effort, it's going to be hard work and it's going to be WORTH it! Give me 30 days to build new habits. I'll be starting a new online fitness and nutrition group starting on March 23rd. 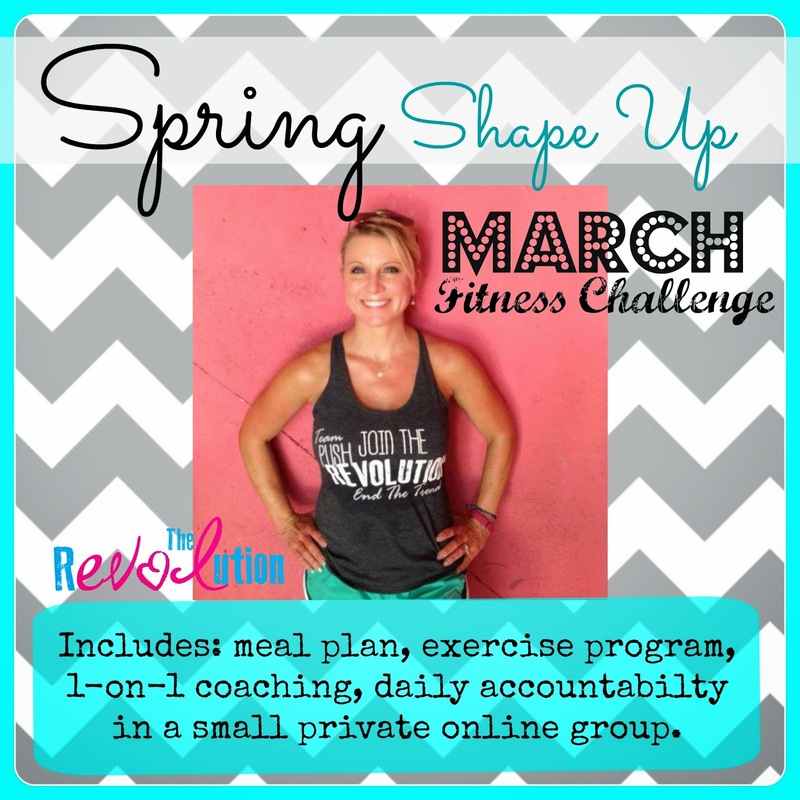 You'll get a simple, easy to follow, an easy to follow clean eating meal plan and 30 minute workouts, one on one coaching from me, private support in an online Facebook accountability group. I'll help take the guesswork out of the equation and show you what worked for me. We focus on progress and not perfection and real lifestyle change. Daily accountability is the key to success for so many people. This really works because it's not a fad. It's real change AND we help hold your hand and keep you accountable, so you build new habits. Spots are limited to 10 ladies this month.